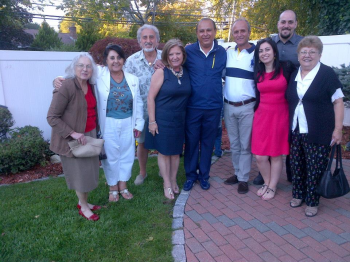 Alumnus and alumna Robert and Varsinig Shafie gracefully hosted the “LAU Boston Day” at their home in Newton on Sunday September 22, 2013. Around 30 alumni enjoyed a gorgeous weather and a beautiful day spent by the pool. The program included lunch, belly dancer and a dabke group.